AFTA (ASEAN Free Trade Area) will be implemented in December 2015. Indonesia, which is a major player in the Association of Southeast Asian Nations (ASEAN), must accelerate its preparations to face the region`s market integration in 2015. Indonesia must prepare itself to improve the quality not only of its goods and services but also of its human skills, so that it would not serve as a mere market for other countries in the region. Therefore, standardization of human resources` competence should soon be prepared to shape the future of ASEAN in the face of globalized world. All ASEAN members should prepare skills, expertise and work competence standards. Universities must pay attention to the work competence standards at least for the ASEAN level so that all educational curricula in ASEAN would meet the standards and would be recognized at the international level. Therefore as one of the efforts to improve our skills, HIMTRI (Himpunan Mahasiswa Teknik Industri) has created a workshop themed “Get Ready to Face AFTA with SAP Technology”. So HIMTRI hope that the workshop will enhance participants’ employability skills for the future impact and getting ready to face AFTA. The overall objective of the workshop was to increase participants knowledge about the basic system and application of SAP Business All in One, which was a system that provided users with a soft real-time business application that could be used in multiple currencies and languages and also a system that developed a graphical user interface, or GUI. By joining this workshop, participants could get better understanding on SAP product, concepts and method of SAP Business All In One and also perform business process of SAP Business All In One’s steps. The objectives were achieved through lectures, practical demonstrations and plenary discussions. In addition, HIMTRI (Himpunan Mahasiswa Teknik Industri) provided the participants with material in form of brochures and other publications containing detailed information on SAP Business All In One. 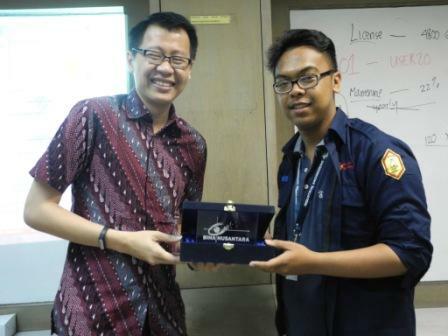 The workshop had been held on Friday, May 8st 2015 in Binus Center Syahdan with Mr. Thomas William Simardjo (SAP Consultant) as the speaker. The event was divided into 3 shifts, starts at 09.00 am until 11.00 am, 13.00 pm until 15.00 pm, and 15.00 pm until 17.00. 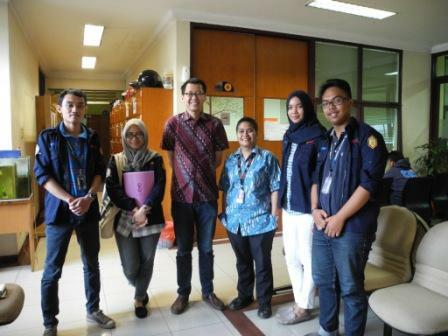 The workshop attracted participants within the Binus University, especially those who are majoring in Industrial Engineering. We provided limited seats for 60 people only, but it was initially anticipated that only 70% of the the quota would attend the workshop. However, close to 50 participants came to the workshop reflecting the interest in SAP Technology.